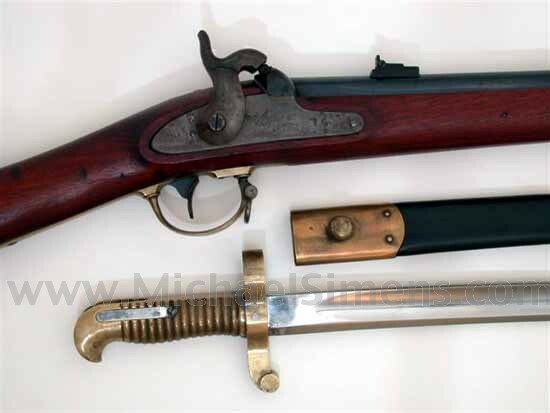 REMINGTON ZOUAVE RIFLE WITH BAYONET AND SCABBARD. 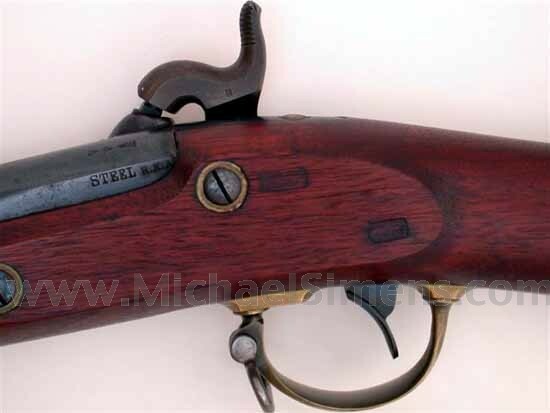 Excellent condition overall, with 99% original blue on the barrel with little scattered specs of raised rust. 75% case colors on lock. Excellent wood with perfect cartouches and minor handling marks. 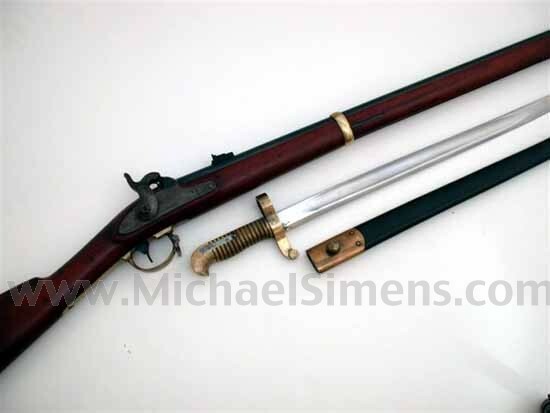 Near mint bayonet and scabbard. The gun alone is worth the price and with the scabbard it is a bargain for someone.